About Us — A.D. Welding & Fabrication Inc.
A.D. Welding & Fabrication Inc. is a custom metal fabrication facility in Brampton, Ontario, Canada. We have been family owned and operated since the company was founded in 2001. With an emphasis on modern engineering and manufacturing processes, we design, build and deliver high quality fabricated products for the foodservice, laboratory and architectural industries. We have also established ourselves in industries across the spectrum as the go-to source for designers, project managers and engineers who are looking to get their ideas built and projects done. We are highly regarded by professionals in high-end store fixtures, plant maintenance and countless other fields where expert prototyping, engineering and fabrication are valued as much as they are here. Our niche is understanding yours. Our skilled team brings decades of fabrication knowledge and expertise to every project. 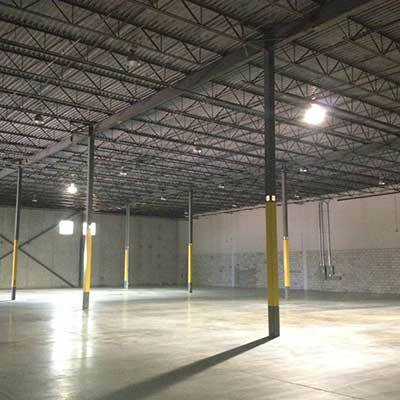 Our 24,000 sq ft facility in Brampton. Engineering is the first stage in our build process. We use 2D and 3D CAD packages, as well as CNC machinery to improve accuracy, reliability and product quality. Being a family business means the work doesn't end when the product ships. We aren't done until the job is done right.